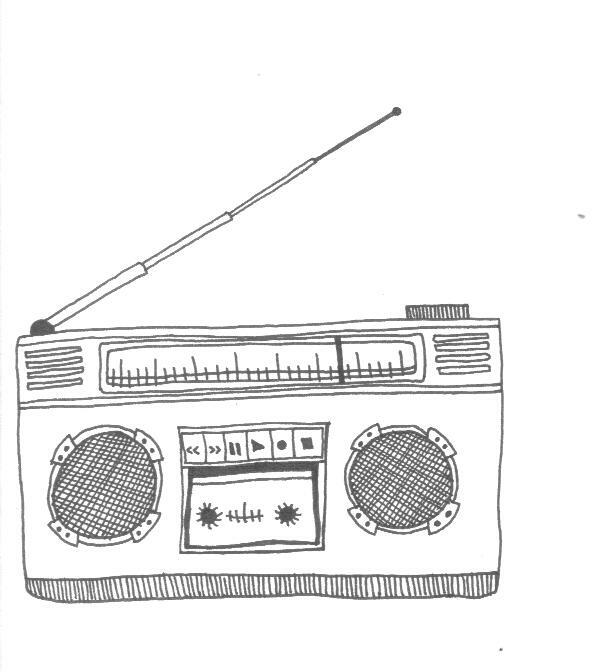 Watch us make a zine at Nuit Blanche this Saturday! This is the cover of our Nuit Blanche zine. By Marta Chudolinska. We’ll be part of an awesome Nuit Blanche exhibit called The 12 Hour Zine Machine, run by the lovely Madeline Collective. Basically, different groups will each have an hour to create an entire zine based on ideas anyone watching (or even tweeting at) can write on a big Idea Board. Anything. Your idea can be the theme we write and draw to. People can even jump in and work on it with us! Once we’re done, the Madeline Collective will upload our pages and make our zine. The Static team is Jessica Lewis, Melody Lamb, Aviva Cohen and Marta Chudolinska. and stay tuned, our fifth issue is going into production very soon! can’t wait. For Issue 3, Static’s roster of contributors got even bigger. 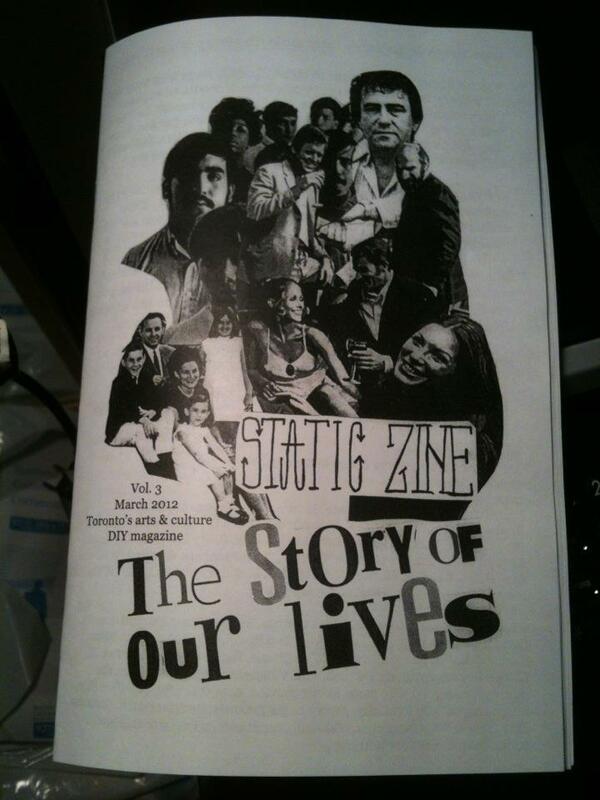 26 people were involved in the making of the zine and telling stories about their lives. So naturally, once you’re hooked to their stories, you’re going to want to know more about them. So for this issue, each person got a web page right on this here site. Static’s second issue, First Times in Toronto, is out October 22nd. So to celebrate, over the month, you’ll get to know the contributors of the issue through some of their first times in Toronto. 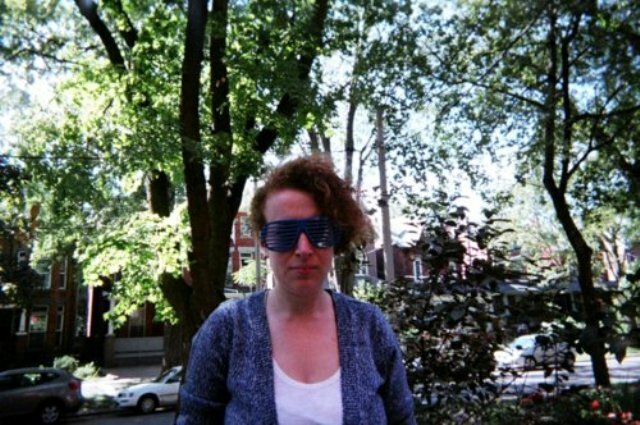 As managing editor, Aviva works with Jessica and Melody running the zine with tasks such as idea generation, curating the mixtapes and events and managing the contributors. For issue 1, she wrote about napping at concerts, which snagged us a sweet excerpt page in Broken Pencil. For issue 2, she’s covered a more sombre topic. She’s known to actually nap at concerts around the city, but she’s currently interning in government corporate communications, which is quite like Parks & Recreation. To our best knowledge, Aviva is still alive. First time I felt like Toronto was home was when i stopped having to carry around a crumpled black & white map to get around. It left my pocket free for other important things like 7-11 gummi candies and phone numbers (ok, just 7-11 gummies). First job was working downtown at my mother’s law firm. On our way home we would pass by sneaky dee’s and my mother told me that’s where all the punks hung out. First favorite neighborhood was Roncesvalles. I spent the twilight of my youth at the Intersteer. Thirty hearty cheers, a thundering of tears. First outdoor concert was SARSstock. remember SARS? First bar/club i went to was Club Rockit for one of Eric Warner’s shows. Im being nostalgic – This venue no longer exists, look it up, it was in Scott Pilgrim. Also cut your hair and get off my lawn. First record store i visited was Soundscapes for an Iron & Wine instore. First time I got lost was on the way to said instore. First heartbreak made me a Ryan Adams fan. First favorite book was The Great Gatsby. First New Year’s was spent with The Sadies for their 50 hour annual NYE at the Horseshoe. I would spend the evening on my pals couch with her dog, the only woman who really loved me. First Valentine’s Day……not alone, being sad listening to final fantasy on repeat? We made fancy gnocchi and i brought flowers. I ended up at the Tranzac by myself for $100. Lonesome & country music, that sounds about right. First trip out of Toronto you could see, Lake Erie, Niagara Falls. from the top of the mountain, i could see farther than anyone. driving through the line, we pretend we are from Africa, if we fall far behind, i am brave, i am brave…..oh wait, my life is not a Sufjan Stevens bonus track included on a double vinyl release. really, it was probably to Montreal. i bet we stopped by The Big Apple on the way. If I had a last day in Toronto, I would eat at all my favorite joints, throw up on queen street and pass out in the park till someone stabed me. Nobody leaves Toronto alive. In honour of International Zine Month festivities this July, Broken Pencil asked a handful of zinesters why they make zines. We here at Static were delighted to be asked to contribute to Broken Pencil’s July web series on International Zine Month. 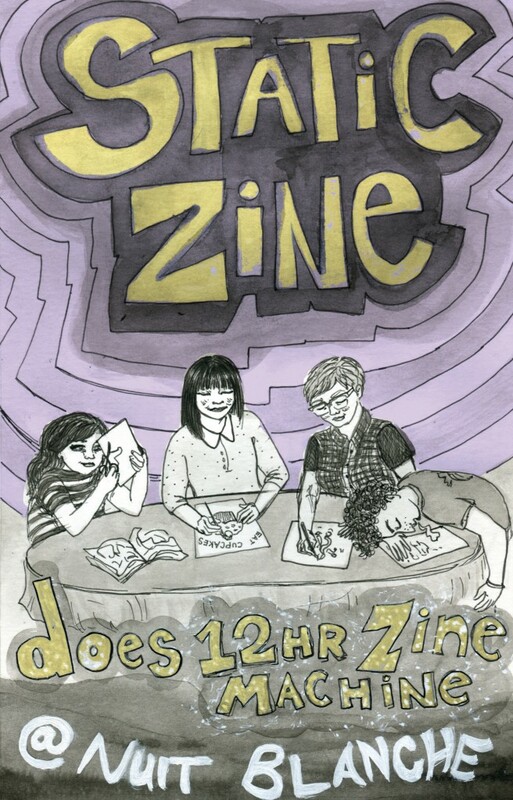 Jessica, Aviva and Melody gave their responses as to why they make this zine. Read the blog post over at BP.